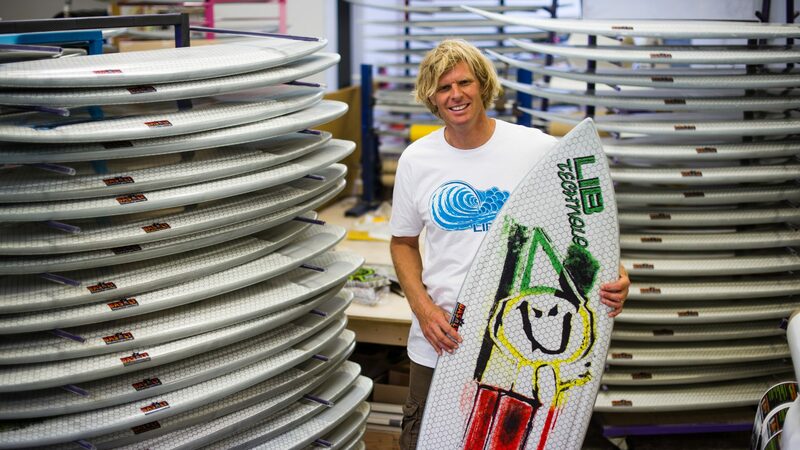 When it comes to sustainability in the boardsports industry, Lib Tech really are at the forefront. Their hyper-aware eco-manufacturing has been at the core of every product they have made since the companies inception in the late 70s. With their new factory running solely off renewable energy, and their recent foray into the surf scene with collaboration partners LOST, SOURCE sat down with the ever-experimenting Mike Olson, to see how he puts eco into everything he does. Let’s jump into it right away: can you tell us a little bit more about the new surfboards coming up this season/this year? We’re having an action-packed year. After moving into a new larger 10,000 square foot manufacturing facility, we’re now introducing the Lost Quiver Killer series which is selling faster than we can build them, and now have a well rounded Pickup Stick line, with available lengths of 6’6”, 7’0”, and 7’6”, which are also selling as fast as we can build them. The Pickup Sticks pick up waves with little effort but surf off of the tail like a short board and/or can cruise and nose ride like a longboard. They are super fun! We also just jumped into the wake surf scene with the Yachtsea and Air’n models. World-renowned pro wake surfer Aaron Witherell grew up next to our factory and actually works here putting the fine tune on the surfboards and the wake surfers. These boards are topping the charts in tests and Aaron is continuing to dominate podiums on the pro tour. What are the main features and improvements we can expect from Lib Tech in the next few months? Our manufacturing process is becoming much more refined and precise with the new space and procedures in our new factory. The boards are coming out with a very controlled and defined riding weight, in which we try to match the weight of our boards to the same model and weight if it were built in ev-so-loved polyester/PU construction, since that seems to be the benchmark that most surfers really like for the feel on the water. Our materials, however, are much tougher than polyester surfboards and have a way lower impact on the environment. Our Freedom Of Choice (FOC2) fin boxes can be used with any 2-tab fins or FCS2 fins. With 2-tab fins, there is a large range of fore and aft movement/refinement to fine tune the riding characteristics of your surfboard. Lib Tech took the green path long before its competitors. How did you implement your eco-friendly process over the years? I was always obsessed with human health and safety in manufacturing starting back in the early 1980’s when I started building surfboards and snowboards as a career. 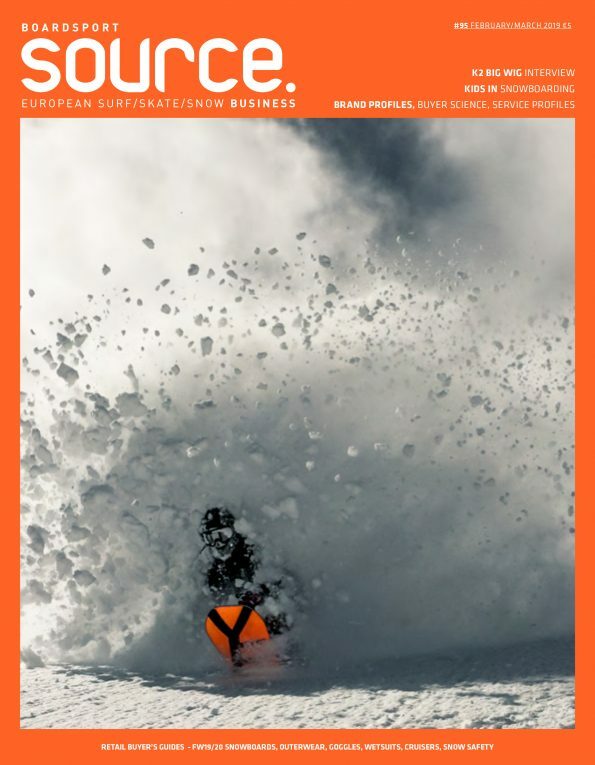 To be frank and honest, I originally built every snowboard and surfboard myself and wanted to live to be over 100 years old (or more) to catch more waves and slash more snow. I realized that I would need to find new health-conscious ways to build surfboards and snowboards and this meant procedures that also are better for the sustainability of the environment. I quit using polyester and polyurethane for surfboards and started using XPS foam, EPS foam and SP115 Epoxy from the UK way back in 1985. I also started my quest to invent a way to make surfboards that could eliminate the hazards of hand lamination and sanding dust. Our current process utilizes all of those goals that I could only dream of in the early 1980’s. With snowboards we eliminated toxic solvent painting processes, replacing it with water-based sublimation graphics, minimalized sanding dusts, developed bean based polymers for top sheets, eliminated ABS sidewalls, eliminated all cleaning solvents, and used hydro and wind power to run our factory. How do you manage to reconcile environment and sustainability in terms of surfboard components? Our recipe for surfboards has amazingly satisfied most of the quest for more environmental boards, but there are always more improvements/ refinements coming in the future. First of all and of utmost importance for the environment, our boards will last longer than conventional surfboards. Our foam has zero ozone depleting blowing agents, 25% recycled content, and all off-cuts from the shaping process are melted back into dense plastic blocks in our factory, so they can be molded back into foam. Our resin matrix has close to 40% renewable content in it’s feedstock, and the elimination of VOCs released into our air. We use basalt and magnesium fiber fabrics which don’t have some of the questionable additives sometimes found in fiberglass formulas. Basalt and magnesium fabrics also have higher strength/toughness properties. We don’t paint or squeegee our resins onto our boards, eliminating the disposal of brushes and masking tape. We’ve eliminated sanding coats and the need to grind all of that dust into the air. What was your philosophy when you started Lib Tech? What were your convictions and how confident were you in building an entire company based on eco-friendly processes? My driving philosophy when I started Lib Tech was that I just wanted to make better boards to ride myself and needed to sell some boards to support this habit and wanted to stay healthy to surf more waves into old age, thus I need to develop safer manufacturing habits. I still have this philosophy today. I can’t wait to ride some of the new shapes and materials that we are developing for the future. I had no clue that we would ever have grown to the size that we are now. My theory then and now is that if I get super excited about a new shape or technology leap, other people will probably get the same stoke and love the ride.